We have heard enough of ‘travel to know’ different cities and different people, their culture, diverse rituals. 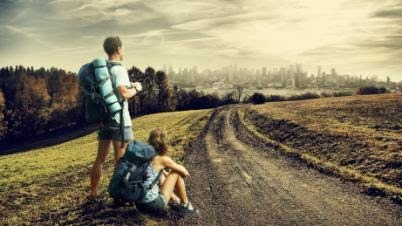 How about, travelling to a place where you can find yourself? A place, which not only gives you a chance to meet yourself but you, can also spend relaxed & lavish time to know more. A perfect haven to get away from presentations, board rooms & deadline rush, a small group of islands called Lakshadweep is your place. Although flights & ferries- both the options are available, but the most panoramic way to reach this incredible group of islands is through a ferry (a boat or ship for conveying passengers) from the city of Kochi (also known as Cochin), Kerala. Only one of the islands has an airport, namely Agatti Aerodrome on Agatti Island having Malayam & Dweep Bhasha (Jeseri) as the most spoken languages on the islands. Literally meaning 100 islands, Lakshadweep Island is a group of several islands, roughly covering 32 square kilometers in area. Once in Lakshadweep, surrounded by the unfathomable turquoise sea, under the gorgeous azure sky you are bound to forget the frets of ‘material’ world. To add the ‘other-worldly’ experience, the cellular networks don’t usually catch a preferable strength of signal, but for all your ‘important’ contacts the facility of satellite phones is definitely available – not that you would actually feel like contacting the ‘material’ world. Night-voyages into the sea are quite popular activities among tourists. You can nibble on various lip smacking delicacies of sea food, especially tuna which are freshly available only here and hence, also exported to various locations from the place. Honestly speaking, the list of reasons why you should be traveling to Lakshadweep is really unending. The crystal clear waters, the lush environment, a place you’ll love to lose yourself. The feeling of being a wanderer by day, a camper by dusk and a star gazer by dawn, if you ever wanted to experience a life like this, then heading to Ladakh should be on top of your list. 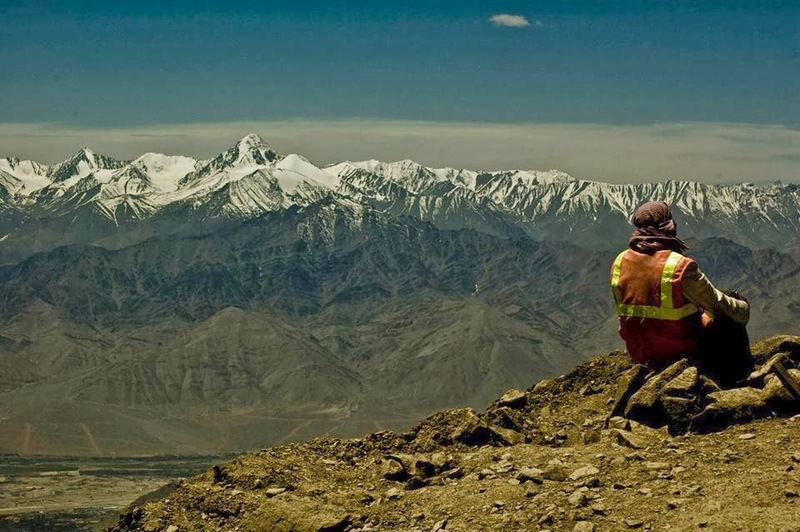 Ladakh – the paradise situated in the state of Jammu and Kashmir, lies between the Kunlun mountain range in the north surrounded by the main Great Himalayas in the south. Capable of making any individual feel so insignificant and small, that if ever, you wished to realize the vastness of the world, Ladakh is the place indeed. The blissful location, situated at an altitude of 3500 mt. above sea level is the highest elevated city in India. And despite being such a parched land, Ladakh has a great diversity of birds — a total of 225 species recorded till date. With Tibetan monasteries and fabulously ‘cool’ monks, it is but impossible not to realize where the place gets its charm and peace from. The air of this place has a naturally serene sense of enlightment and makes you feel closer to the creator. With stunning architectural views of Thikse Monastery, Leh Palace & Shanti Stupa, individuals will find themselves doubly blessed- with the amazing views as well as surrealistic peace of mind. The natural beauty of this place is simply heavenly. With so many valleys & mounts to explore, tourists and travelers usually prefer to head on their own in search of rarer sights & more stunning scenery. Bike rides, cabs, horses and yaks make travelling an interesting adventure in this part of the country. 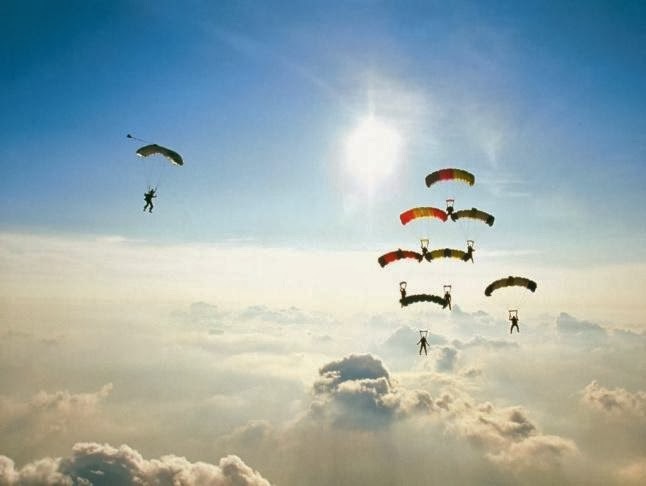 Besides the spiritual experience, if you wish to have some extreme fun at such an extreme location – activities like river rafting, trekking & mountain climbing are available to add to your adventure. Different people have different reasons to go to Ladakh, but they all have same reaction when they return – overwhelmed by nature’s vastness & beauty. So when are you planning to experience the thrill & enlightment of such an irresistible setting? Dive in the fun of travelling – Scuba Diving! Ever fancied swimming along with exotic fishes, exploring freely underwater the unique & enchanting treasures of sea? When it comes to making your holidays memorable, we assure you nothing comes close to an unusual & thrilling experience like scuba diving! Basically, in scuba diving, the individual carries a cylinder of compressed oxygen with him or her, instead of just holding breath or getting air pumped from the surface – which provides various obvious restrictions under water. Scuba diving allows people to become the part of the underwater world, even if it is (seemingly) for a brief moment. Scuba diving requires training, hence after a brief training session; you can simply plunge in the ocean & enjoy the time of your life! However, if you do not wish to travel so far to experience something as remarkable as scuba diving, then we have at your service – breathtakingly gorgeous locations right here, in India where you can enjoy & experience this ultimate thrill! 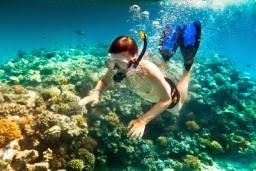 You would be amazed to know that the sheer variety of the marine life adds to the ecstasy and some enviable adventure destinations serve as the perfect base for adventure holiday in India. Goa:Attractive corals, coloured and beautiful, shells and fishes all offer excellent exploration. The underwater visibility in Goa ranges from5-10 meters throughout the tourist season. And since the waters in Goa are safe and temperate along with the absence of riptide currents, it makes the waters ideal for beginners. 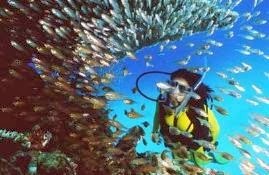 Andaman: Offers clear, warm water with one of the largest variety of coral and fish life anywhere on the planet! Also, Andaman & Nicobar Islands are one of the few undiscovered gems that have escaped the clutches of mass tourism, hence no rush & crowd, just the serene experience of underwater world. Best time to visit is from June to September. Lakshwadeep: Consisting of 36 small islands, this group of islands is blessed with white coral sands, crystal clear water and rich marine flora of the Arabian Sea. 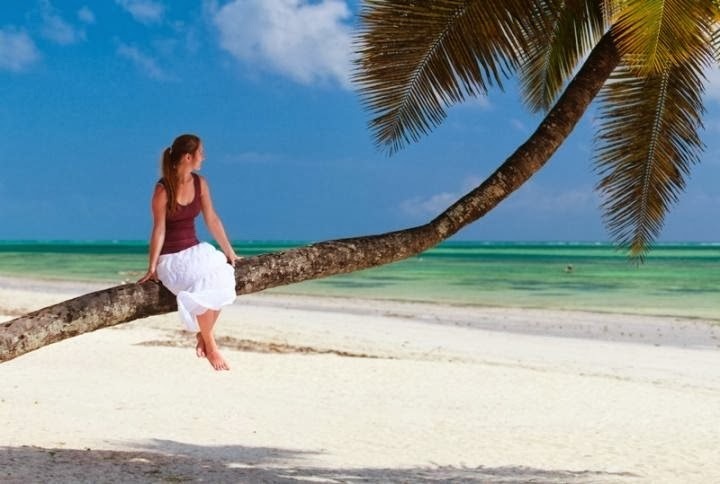 The Natural coral reef, blue lagoons, delicate marine life-it is a definite must-experience for all. Best time to visit is November to May. This year how about exploring the same land with a different perspective? Adding a tinge of adventure & wonder to your holidays, simply to make them more magical! 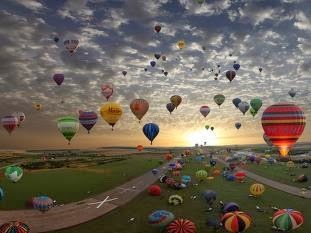 So here is a great idea to begin this year’s adventure traveling – Hot Air Balloon rides! These hot air balloon rides are charged usually on hourly basis and may range Rs.12, 000/- for adults, Rs.10, 000/- for each child aged 9-12 years old & Rs.8,000/- for each child of 6-8 years of age. These charges may however subject to change as per local & government rules & policies. The rides generally last for an hour, and reach not more than 5000 ft. in altitude. Since the balloons float along with the wind, the passengers don’t feel the breeze and so the cold, hence you don’t have to worry about carrying an extra jacket for chillier temperature. The best time for riding a hot air balloon is always at sunrise (around 4:00 AM in summers & 5:00 AM in winters) or before sunset, and not to mention the rides are very much depended on the weather conditions. If the local climate gets too foggy or cloudy or overly windy, chances are that your hot air balloon will require a clearance from aviation department for further developments. It’s a safe, romantic & beautiful experience, and if you as well even fancy getting married in a hot air balloon – that is also possible! So this year, pack your bags & head out to the gorgeous location of desert, forts and/ or mountains & valleys and enjoy the view from a different standpoint! The calmness, serenity of your transport & the marvel of land under your feet will leave you wanting way more! So what are you waiting for?